Attracted to lights at Lost Dutchman State Park, Pinal Co., Arizona. 5 Nov. 2017. 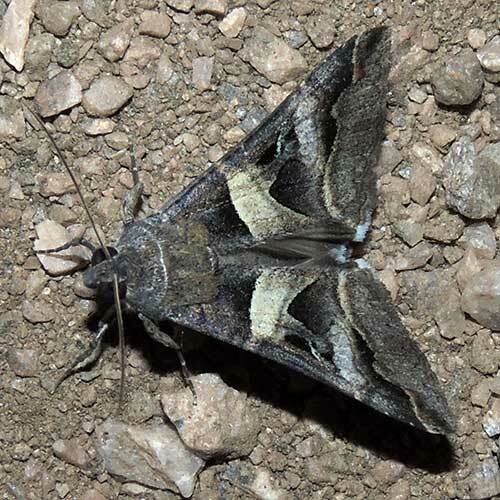 There are literally thousands of moth species in the Sonoran Desert. Most fly at night and are not often seen by the diurnal naturalist. The larvae are frequent on many plants and are a major source of food for insect-gleaning birds. Many moths are very specific about what kinds of plants they feed on as larvae. Also many caterpillars are crypticly colored.